Elm Dr condos by Daniels at 1 Elm Drive and 33 Elm Drive are contemporary 31-storey twin buildings crowned by a dramatic, sweeping roof-line, gracious landscaped gardens, and urban plaza courtyard. These prestigious condominiums are also called "City Centre Condos". Elm Dr Condos were built in 2003. The sleek Elm Drive condo suite designs are airy and open, with the elegant use of glass and steel. There are around 355 exceptional suites in each of the City Centre Condominiums buildings. CityCentre condos feature spectacular floor plans and huge windows with full-height glazing. Plus, almost all the suites have balconies to take advantage of the magnificent views. Most condominium suites at Daniel's No.1 City Centre include custom-designed cabinetry, quality ceramic floor tiles in the kitchen, pre-finished engineered hardwood flooring and five appliances. In addition, there are several dramatic penthouse suites that offer fabulous 10-foot ceiling height, granite counter tops and upgraded finishes. 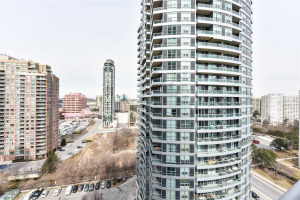 The City Centre condos also offer affordable rental suites and is very popular with real estate investors seeking quality buildings in the Mississauga real estate market. These condos are the very first to be built in the City Centre neighbourhood of Mississauga after 1990s. Since then, many new condo buildings have added to the skyline of Mississauga. Elm Dr Condos provide some excluive amenities to their residents. Among the features of the exclusive 18,000-sq. ft. No. 1 Club and amenities area are a stunning indoor/outdoor whirlpool and gorgeous outdoor terrace with a tanning deck. The fully equipped exercise room features sound and video monitors, indoor pool, relaxing massage, Yoga studio, aromatherapy steam baths and dry saunas conveniently located in each change area. There are even lessons offered for swimming and yoga. Residents and their guests also unwind in front of the fireplace in the members' library/lounge. There's even a games room with a billiards table and a virtual golf pavilion. 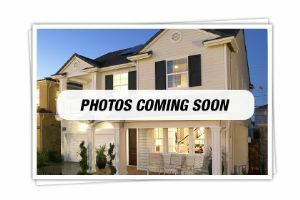 With close access to many amenities, this pet friendly building is close to nursery schools, provides easy access to the Cooksville Go Train station, shopping, and major Hwys: 401/403 & QEW. Elm Dr. Condos are minutes from surrounding points of interest – Lake, Mississauga City Centre, Waterfront, Port Credit Marine & upscale Restaurants. Team Kalia has helped many residents with buying, selling or renting their homes and condos in Mississauga's Square One area since 2003. Call us if you are thinking of buying, selling, investing or renting an Elm Dr/ City Centre Condo in the Square One area. Team Kalia is sure to bring you great value. Local Experience always Pays!